Avendus Capital Inc advises TAISTech on its strategic acquisition by Digility, a Mastek company. Avendus Capital Inc is pleased to share that Digility, a Mastek Company, has signed definitive agreements to acquire TAISTech, the US-based leading digital commerce solutions provider. The TAISTech Executive Leadership Team, led by Kapil Malik and Aman Bedi, will continue to run operations as a wholly owned subsidiary of Digility Inc.
TAISTech, founded in 2000, is a digital commerce services leader that provides strategic consulting, largescale commerce implementations and support for the Oracle Commerce and Oracle Commerce Cloud applications. In addition, TAISTech also provides omnichannel strategy, creative design, mobile app development, ongoing maintenance and training. TAISTech, with revenues close to $30M, has posted steady growth of ~ 15 % CAGR over the past four years in the US market and has been exploring aggressive expansion plans into LATAM and Europe. TAISTech brings experience with some the most powerful brands in the retail and manufacturing industries, including Fortune 500 customers. The company delivers a personalized customer buying experience across web, mobile, social media and brick and mortar stores. 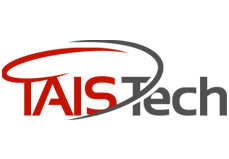 With the acquisition in place, TAISTech will also grow its service portfolio by leveraging Mastek’s strength in Data Warehousing, Business Intelligence and Analytics, Enterprise Testing and Agile Process Consultancy Services. Avendus Capital Inc. was the sole financial advisor for this transaction. Avendus Wealth Management caters to investment advisory and portfolio management needs of Family Offices, Large Corporations and Ultra High Net Worth Individuals spanning all asset classes. Avendus Capital Inc. and Avendus Capital (UK) Pvt. Ltd. located in New York and London respectively are subsidiaries providing M&A and Private Equity syndication services to clients in the respective regions.